In a free society people are able to make contracts/agreements for what they consider is in their best interest. As government edicts/dictates emerge contracts dwindle. If an insurance company offers an individual a policy that has clauses such as large deductibles that makes the insurance more affordable this appeals to those who want insurance but do not want to pay the extra premium a small deductible requires. 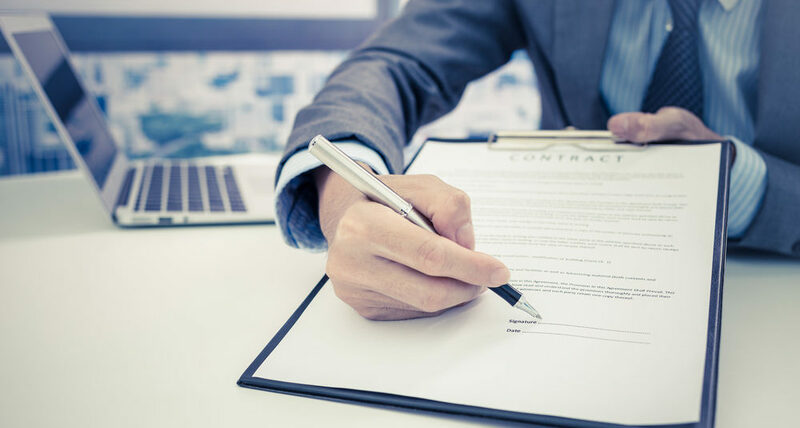 This contract is based on the insurance company being able and willing to offer greater variety of coverage for a greater number of clients. This is satisfactory to those who want high deductibles, those who want low deductibles and those who don’t want to buy health insurance. These people in the later category may want to be self insured or are young and willing to take a risk . This is the freedom a contractual society has to offer in all matters of commercial buying and selling. This is the freedom that disappears when the government announces you will have insurance or seat belts or helmets or stamps or a multitude of goods and services but only on the government’s terms. Licensing limits who may install your light switch or faucet washer. Regulation limits what you may offer and how you may present it. Where consumers and free private individuals formerly contracted for goods or services the government by way of its convoluted thinking of pretending to know what is good for everyone issues an edict that is designed to fit every situation and individual. Since this is impossible in reality there are many who must conform under the penalty of fines and or imprisonment to circumstances they would prefer to avoid. This is why socialism is the antithesis of freedom and can never be otherwise. As is being demonstrated it is not a majority that rules in a country where fanatics get the upper legislative hand and force their beliefs on the country. The Nazis did this in Germany, the Communists did this in Russia, the Fascists in Italy, etc., etc. I remember many Americans asking how such an evil as Naziism was able to become such a power in Germany. Witness what is happening in America in the halls of Congress and you will see how a regime can emerge in what was once the cradle of freedom to the world. People from all over the world would come here to be able to do what they could not do in their native land. They could not make a contract contrary to the government dictates. They could not keep the fruits of their labor. They could not innovate and profit. They could not rise by their abilities and creativity. In America where the regulations were less, the taxes lower and therefore the opportunities greater they flocked and worked and prospered. They were faced with only one obstacle that would change America into a mirror of the country they left. That obstacle was the intellectual and political loudmouths that pandered and pontificated to create a model of all failed societies of the past. Stuffed with what they were convinced was morality, they clung to altruistic sludge and never would admit that the essence of their “morality ‘ was sacrifice which required someone to be the sacrificial goat. Their message has worn thin and the results of their policies continue to disrupt and decay the nation. The opposition is largely unheard but emerging. It is only the voice of freedom that can diminish the march to tyranny. Contracts between individuals are necessary for freedom to be active. If you cannot make an agreement because it is either forbidden or defined you are the pawn of the state. What this means is that someone else has subverted your decision making ability for their edicts. What this means is someone posing as a defender of your rights and posing as your representative has sold you down the river for a bribe to keep their job to operate with as much corruption as they can get away with. For these parasites also make contracts of a different kind. You vote for my perks and I’ll vote for yours. This method of operation can be stopped but won’t be stopped by those who seek the political career. It is government that is charged with protecting the rights of citizens and it is the representatives that ignore this charge in favor of pandering. A reformed Constitution would limit the powers of these spenders and regulators. A reformed Constitution would place emphasis on the limited function of government. A reformed Constitution would exclude the power of government from the economy. A government that could not confiscate, regulate or spend with abandon would be a government that would survive and enable a country to become a bastion of freedom and contracts. Contracts are agreements. Edicts are commands. Contracts are that what you agree to. Edicts are what you are forced to obey. Why should a government official be endowed with such unlimited powers that they can redistribute wealth, regulate commerce, destroy the value of the currency, increase debt and eventually destroy the country they are charged with protecting? There is no rational answer to such a question. A government created to do these things is necessarily a government created for ultimate destruction. What is the purpose for suicidal construction? This is the unacknowledged purpose of all the politicians who refuse to recognize they are debasing the currency by way of spending, destroying the economy by regulation and destroying the country by preaching sacrifice. The politicians have the most attention by our news media and the alternative of a small limited government is practically hidden from view. All the bull horns and television broadcasts will not change the gallop towards socialism we are confronting. Only a recognition that freedom is waning and it is political pandering that is being tolerated to the extent it is wiping out our freedom to agree and allowing the government to practice thuggery with edicts. A stance of resistance will not be sufficient. Those who are for freedom must define exactly what it is they are seeking. Simply stated it is a society where contracts are possible and the government’s job is only to interpret and enforce them. To override contracts in favor of government pandering must be forbidden. Remember contracts are voluntary. Edicts are not.